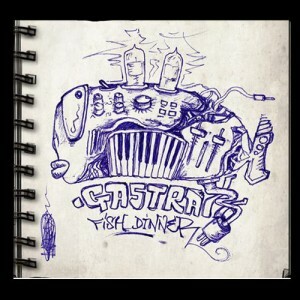 Fish Dinner is the debut album from German producer GastraxX, which was released in early 2014 on PHI Records. After the warm response to his second album, Good Opportunity, he decided to share his first one for free as well. Here you’ll find another full-length audio meal garnished with tasty bits from a draft out of the deep ocean of mind. Each course comes with a particular flavor, reaching from twisted and forward night-time stompers to fluffy and cartoonish morning grooves. Grab your salt and pepper, it’s time for dinner! All tracks written and produced by Timo Neff. Mastered by Jonas Budassis with artwork by Timo Neff. MP3 Download | FLAC Download | WAV Download · Download count: 6,459. This album has been a favourite of mine for a few months, cool to see it get released on Ektoplazm! Oo more Gastraxx, how Nice. =) Thanks. Very under-recognized artist! This is some really well produced stuff! Love Those Moog Samples On The BassLine ! Another level in psytrance music!! Very creative and hypnotic!